Although the Mediterranean coastline is beautiful and lively, its alluring charm doesn’t end on the surface. 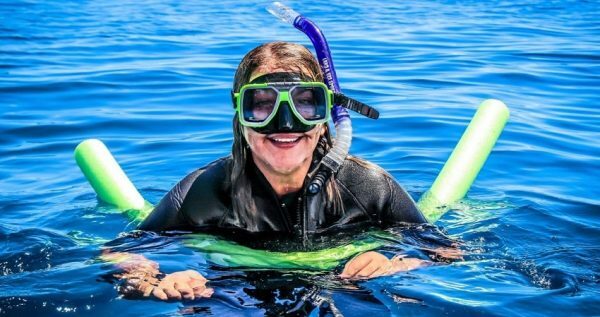 If you want to truly experience all that Mediterranean has to offer and see its hidden beauties as well, then Turunc Snorkeling Tour is definitely what you need. Turunc Snorkeling Tour begins with a transfer from your lodging place in Turunc to the marina, where our boat is at anchor. Once you and the rest of the snorkeling crew are on board, we will set sail into the Mediterranean. Our instructors will show you how to use your snorkeling equipment properly and tell you some basic tips you can use during the upcoming snorkeling escapade. 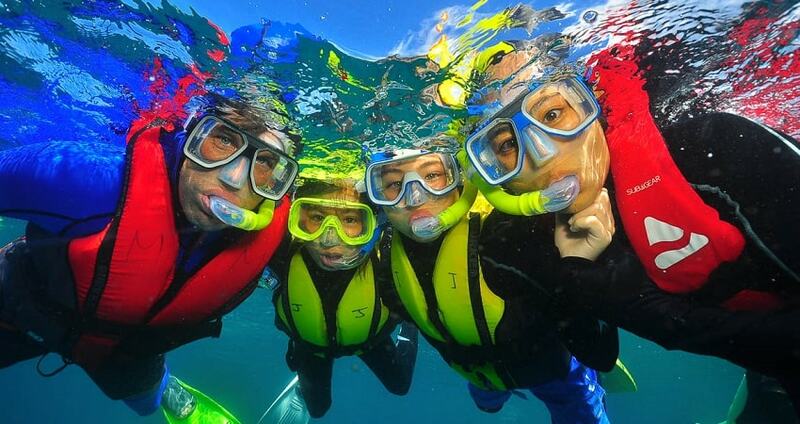 Your equipment includes masks, snorkel tubes and fins. If you want to have some extra protection, or if you have sensitive skin, you can also rent a lycra diving suit, as well as lifeguard jackets. As far as your safety is concerned, our experienced divers will be with you throughout your underwater experience, so you can rest assured that you are totally safe. During our cruise we will stop at some remote bays to snorkel, swim or sunbathe on the beach. 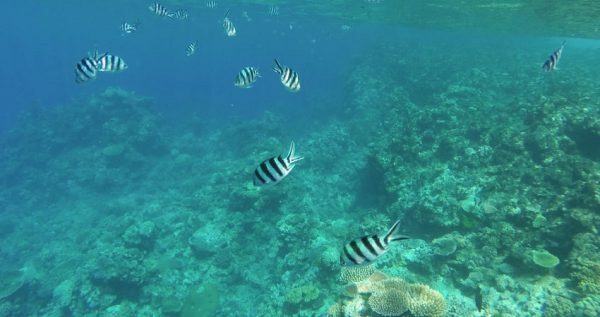 Mediterranean is known for its delightful beaches, so finding a perfect fit for snorkeling won’t be difficult. Waters of the splendid Mediterranean are mostly warm and transparent, with very little to no turbulence, variety of colorful fish, and overall unique underwater environment. We usually have certain bays we are most likely to visit, but plans may change due to the water or weather conditions. The gorgeous colored fauna of the Mediterranean is a unique ecological system, due to the fact that it doesn’t include any coral reefs, which are common for other oceanic waters. Underwater life of the Mediterranean is very lively and interesting, so snorkeling is quite a delight. Basically, Mediterranean has everything you could possibly need to ensure an unforgettable snorkeling adventure. Turunc Snorkelling Tour includes hotel transfers, English-speaking instructors, full equipment, full insurance and a delectable lunch served on the deck of our boat. All you have to do is bring your own towels, sun-creams, swim-suits and your sense of adventure. Make sure to book in advance, because this awesome tour has become quite an attraction in recent time. Snorkeling excursions are happening in our Diving Boat. You can also take a look at our Turunc Diving Tour. Our splendid and exciting Turunc Snorkeling Tour starts with a complementary transportation from your respective lodging in Turunc to the nearby marina at around 8.30. At the marina you will get on board our boat which is specially equipped for tours like this one. We will start our cruise when everyone is on board and ready to go. 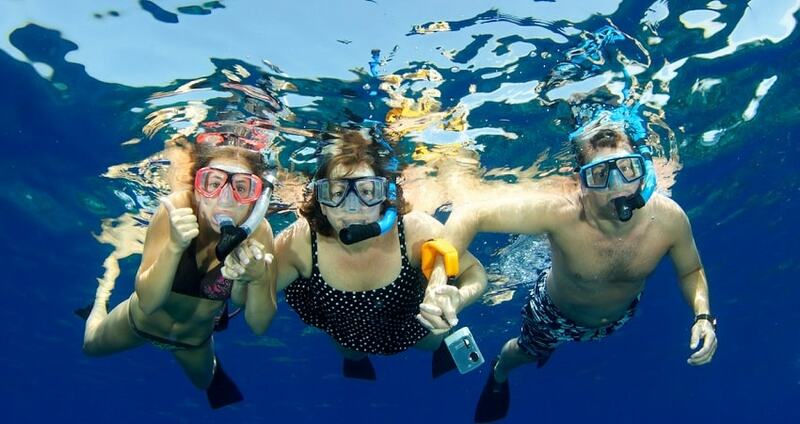 We should note that Turunc Snorkeling Tour doesn’t have any restrictions regarding the age of its participants. Anyone can apply for this tour, as it is completely safe and risk-free. If you would like to take your children for an underwater adventure with you, you can do so without any worry whatsoever. Upon the beginning of the cruise, our skilled English-speaking instructors, will show you how to use the provided snorkeling gear. 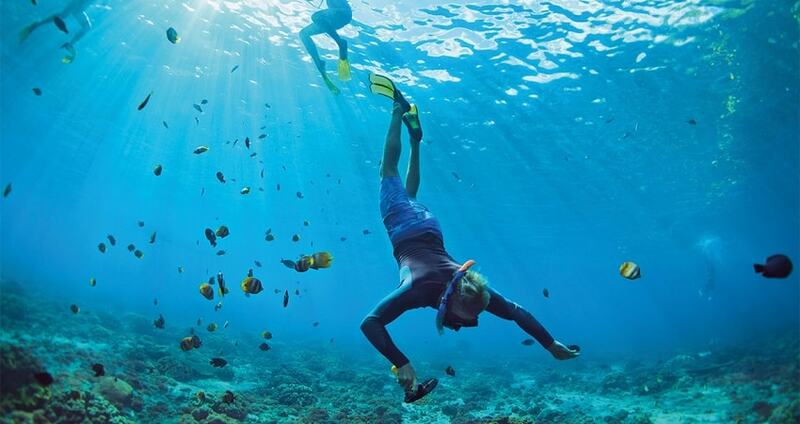 Your gear consists of snorkeling masks, snorkeling pipe and fins. All of the gear that we provide is maintained and made by following the safety standards established on the international level. All of the tours we provide also incorporate all of the features of the international safety standard. Our cruise includes several delightful lengthy stoppages at lovely clear-water bays. You will swim, snorkel and sunbathe, enjoying some marvelous weather and warm water. The snorkeling itself will be a thrilling experience, as the underwater life of the Mediterranean is like no other. These waters feature some funny-looking species like John Dory with its third eye, and a Leopard Sea Slug whose name says it all. If you are lucky enough you might catch a glimpse of one of them, or some other interesting species swimming here. Once the lunch-time comes, we will have a lovely meal served at the pleasant and comfy deck of the boat. The price of this tour incorporates full insurance, necessary snorkeling equipment, one meal, instructions and hotel transportation. All of the things stated here are included in the price you already payed. We don’t have additional or hidden costs, so you can go on your tour completely relaxed and carefree. 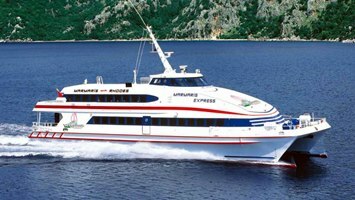 We are expected to return to the Marmaris Marina at about 16.30 and after that you can either spend some time in Marmaris or take a bus back to Turunc.